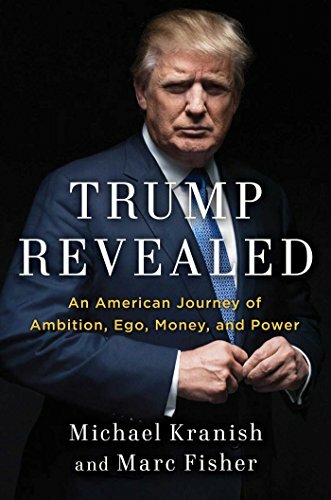 Authoritative, timely, and provocative, this deeply researched biography of Donald Trump provides a complex portrait of the man whoâdespite broad skepticismâcould be the next president of the United States. Who is Donald J. Trump? Despite decades of scrutiny, many aspects of his life are not well known. To discover Trump in full, The Washington Post assembled a team of award-winning reporters and researchers to delve into every aspect of Trumpâs improbable life, from his privileged upbringing in Queens to his astonishing 2016 rise to seize the Republican candidacy for president. Coauthored by Washington Post investigative political reporter Michael Kranish and senior editor Marc Fisher, this comprehensive book documents Trumpâs fascinating family roots, his aggressive efforts to make a name for himself in New York social circles, and his penchant for big betsâon real estate, branded businesses, and, ultimately, on himself. The authors, seasoned journalists who interviewed Trump for this book, scrutinize everything from his youthful alliance with the power broker Roy Cohn to his alleged dealings with organized crime and his controversial projects in New York City, Atlantic City, Florida, Scotland, and Azerbaijan. The authors examine Trumpâs wealth, the evolution of his political beliefs, and his peculiar identity as a billionaire businessman, celebrity, global brand, television star, and now candidate for the most powerful office in the world. Few individuals have ever roamed so widely through such diverse realms as real estate, sports, entertainment, and national politics. How has Trumpâs life informed his bold statements on the economy, immigration, race, global trade, terrorism, and women? Drawn from in-depth reporting by The Washington Post, Trump Revealed is essential reading as the 2016 American presidential election looms. About: A New York Times Bestseller A Philadelphia Inquirer Best Book of the Year A Los Angeles Times Most Important Book of the Year Authoritative, timely, and provocative, this deeply researched biography of Donald Trump provides a complex portrait of the man who—despite broad skepticism—could be the next president of the United States.